You may think that the worst you’ll risk by buying a bargain-bin smart bulb or security camera will be a bit of extra trouble setting it up or a lack of settings. But it’s not just while they’re plugged in that these slapdash gadgets are a security risk — even from the garbage can, they can still compromise your network. Although these so-called Internet of Things gadgets are small and rather dumb, they’re still full-fledged networked computers for all intents and purposes. You may not need to do much, but you still need to take many of the same basic precautions to prevent them from, say, broadcasting your private information unencrypted to the world, or granting root access to anyone walking by. 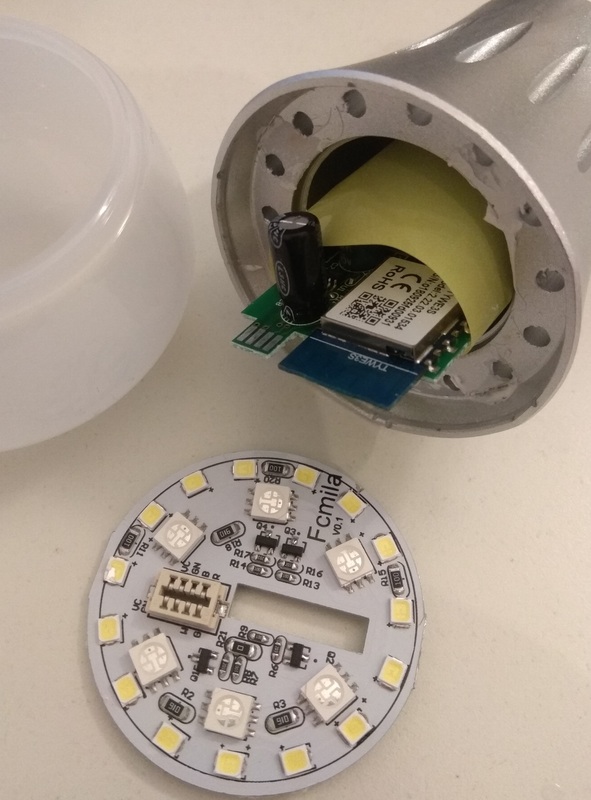 In the case of these low-cost “smart” bulbs investigated by Limited Results (via Hack a Day), the issue isn’t what they do while connected but what they keep onboard their tiny brains, and how. All the bulbs they tested proved to have no real security at all protecting the information kept on the chips inside. After exposing the PCBs, they attached a few leads and in a moment each device would spit out its boot data and be ready to take commands. The data was without exception totally unencrypted, including the wireless password to the network to which the device had been connected. One device also exposed its private RSA key, used to create secure connections to whatever servers it connects to (for example to check for updates, upload user data to the cloud and so on). This information would be available to anyone who grabbed this bulb out of the trash, or stole it from an outdoor fixture or bought it secondhand. Now, these particular bits of information exposed on these devices aren’t that harmful in and of themselves, although if someone wanted to, they could take advantage of it in several ways. What’s important to note is the utter lack of care that went into these devices — not just their code, but their construction. They really are just basic enclosures around an off-the-shelf wireless board, with no consideration given to safety, security or longevity. And this type of thing is not by any means limited to smart bulbs. These devices all proudly assert that they support Alexa, Google Home or other standards. This may give users a false sense that they are in some way accredited, inspected or otherwise held to basic standards. In fact, in addition to all of them having essentially no security at all, one had its (conductive) metal shell insulated from the PCB only by a loose piece of adhesive paper. This kind of thing is an electrical fire, or at least a short, waiting to happen. As with any other class of electronics, there’s always a pretty good reason why one is a whole lot cheaper than another. But in the case of a cheap CD player, the worst you’re going to get is skipping or a scratched disc. That’s not the case with a cheap baby monitor, a cheap smart outlet, a cheap internet-connected door lock. I’m not saying you need to buy the premium version of every smart gadget out there — consumers need to be aware of the risks they are exposing themselves to with the installation of any such device, let alone a poorly made one. If you want to limit your own risk, a simple step you can take is to have your smart home devices and such isolated on a subnet or guest network. Make sure that the devices, and of course your router, are password protected, and take common sense measures like changing that password regularly. Original report can be found on TechCrunch.